The impact of the ongoing war on Yemen's people has now begun to appear in the form of extremely long lines outside of gas stations. 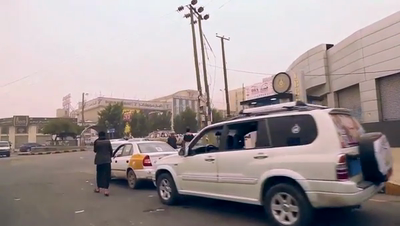 Sana'a, which has around 3m people, has suffered from fuel shortages for several months out of the past year. 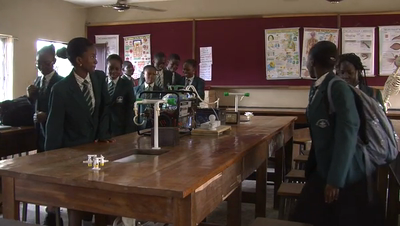 People not only use fuel for cars, but also for home generators since the country has no stable electricity and electricity cuts can last for more than 12 hours a day. As such, people depend mainly on personal generators to lighten the dark nights. Though expensive, the people of Yemeni have no other options. 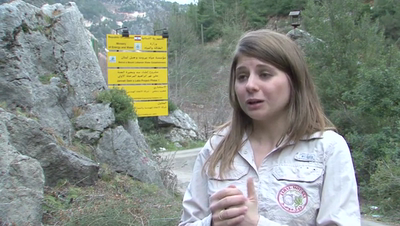 The construction of a dam in the area of Janna, Lebanon, is causing wide controversy among local residents, ecologists and even certain politicians. Janna, whose name means ‘paradise’ in Arabic, is a picturesque valley near Ibrahim River in north Lebanon, which hosts a rare ecosystem according to ecologists. Concerned Lebanese fear that this project will ruin the natural site without succeeding in retaining water. Geologist Samir Zaatiti warns that the surface on which the dam is being built covers large pits that absorb water. 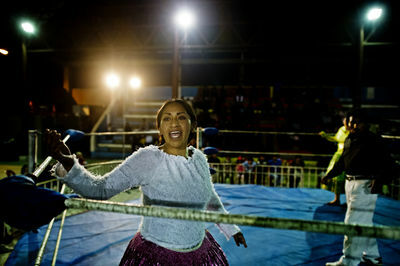 There are also fears that the project might threaten the water source that feeds the Jeita Grotto, a submerged cave known as a tourist destination. Preparations for the construction have started and many trees in the areas have been cleared. Despite its rich water resources, Lebanon has struggled with a water distribution crisis due to the lack of adequate infrastructure. 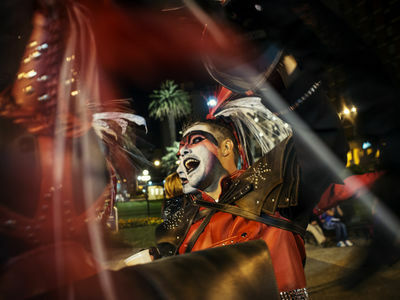 "La Murga" is a musical dance theater genre performed in Uruguay during the Carnival season. 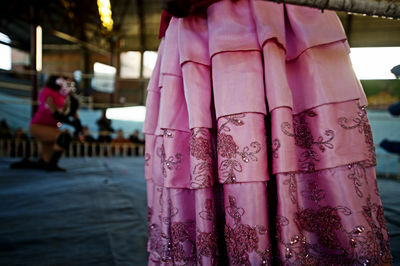 It comes from a spanish tradition brought to Latin America hundreds of years ago. The main themes revolve around the salient events of the year, a source of strong political and social criticism. 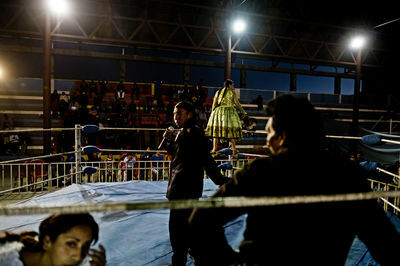 With a carnivalesque-mood, "La Murga" espouses protest and freedom through satire and humorous mockery of power. As a result of a power shortage, residents of rebel-held parts of Aleppo have resorted to buying electricity from local providers, who operate large generators. Video includes an interview with a generator owner, shots of generators and makeshift electric grids, as well as general scenes from the streets of Aleppo. 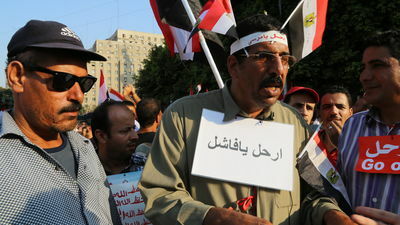 Protesters in Tahrir square share their feelings about Morsi and happiness for their country with him no longer in power. 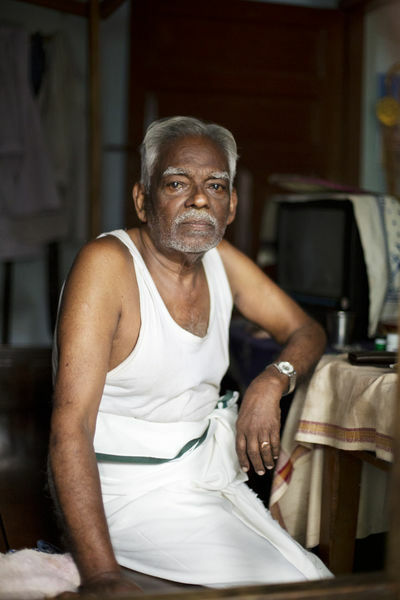 Portrait of S Paramaartha Lingam (78), father of PMANE (People’s Movement Against Nuclear Energy) leader S.P Udaykumar photographed at Udaykumar’s house in Nagercoil, Tamil Nadu. Meera Udaykumar, wife of S.P Udaykumar says that life is made difficult for the families of the leaders of the movement. Owing to more than 200 police cases levied on S.P Udaykumar and other leaders, they had been unable to travel out of Idinthakarai (for fear of being arrested), the epicenter of the anti-nuclear protests, for more than a year. Their families, meanwhile lived in small towns outside. 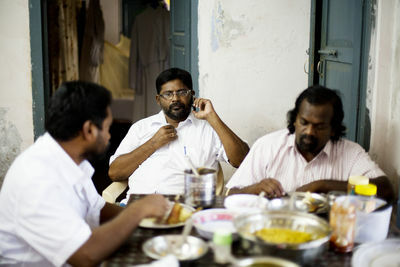 M Pushparayan Victoria, convener of PMANE (People’s Movement Against Nuclear Energy) is seen talking over the phone while the R.S Mugilan (environmental activist and PMANE’s legal advisor, seen on left) and the parish priest of the church at Koothankuli, a village near the Koodankulam Nuclear Power Plant (KKNPP), has lunch at the parish house. Pushparayan who has fought for coastal issues in Tamil Nadu for more than two decades was integral in mobilizing protests in the fishing villages near the Koodankulam Nuclear Power Plant (KKNPP) owing to his popularity in the area as an ex-parish priest. He claims that his privacy is often breached by government agencies and his family had been harassed owing to his role as a leader in the anti-nuclear protests. A priest is seen working in the computer room of the Parish house in Idinthakarai. The epicenter of the protests against the Kudankulam Nuclear Power Plant (KKNPP) is the Lourde Mary Church at Idinthakarai, 6km away from the power plant. The church and its priests have been vital in garnering support and popularity for the anti nuclear protests in this Christian-dominated fishing community. The parish is equipped with a robust internet connection and a functional computer which makes sure that the movement and its people are not forgotten in this fast paced world. Press releases complete with pictures and Facebook updates are dutifully sent out. PMANE (People’s Movement Against Nuclear Energy) is headquartered here. 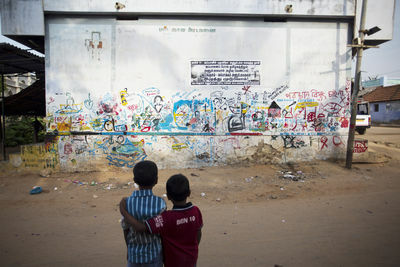 Children look at the graffiti created by supporters of the anti-nuclear movement in Idinthakarai. Prominent figures from the scientific, human rights activists community, film makers etc., has expressed their support to the movement. One of them being Dr. A Gopalakrishnan, retired chief of Atomic Energy Regulatory Board (AERB). The AERB is responsible for ensuring the safety and feasibility of the Kudankulam Nuclear Power Plant (KKNPP). 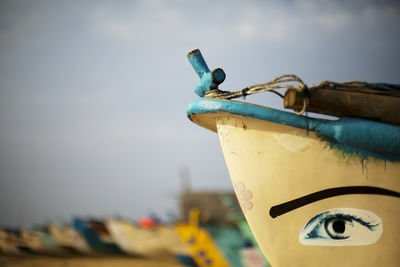 Detail of a boat docked at Idinthakarai, a village 6km away from the Kudankulam Nuclear Power Plant (KKNPP). The village took the center stage in the anti nuclear protests when PMANE (People’s Movement Against Nuclear Energy) set up shop there in 2011. 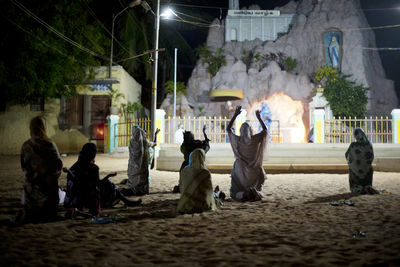 People pray on their knees at a grotto housing a replica of the Pieta at the Lourde Mary Church at Idinthakarai, 6km away from the Kudankulam Nuclear Power Plant (KKNPP). 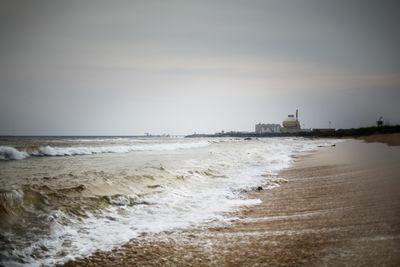 The epicenter of the protests against the power plant is the church and its priests have been vital in garnering support and popularity for the anti nuclear protests in this Christian-dominated fishing community. 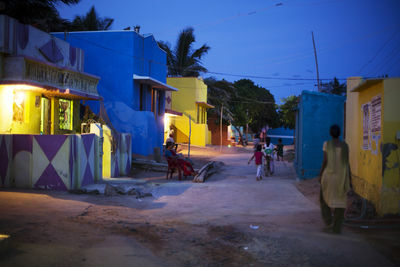 General view of a street in Idinthakarai, a village near the Kudankulam Nuclear Power Plant (KKNPP). The villages along the coast of the Gulf of Mannar, where the power plant is situated, has been protesting the commissioning of the plant owing to fears about its safety. There are (an estimated) one million people living within 30km radius of the power plant which is against the stipulated safety rules of the Atomic Energy Regulatory Board (AERB) of India. 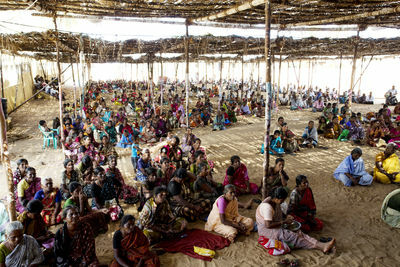 According to M Pushparayan, convenor of PMANE (People’s Movement Against Nuclear Energy), the villagers have received little or no safety-training in the event of a disaster. 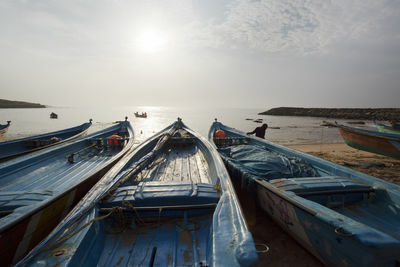 Boats dock at the Idinthakarai village, 6km away from the Kudankulam Nuclear Power Plant (KKNPP). 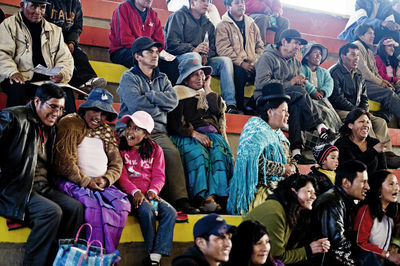 The village is the headquarters for People’s Movement Against Nuclear Energy (PMANE), the NGO that has been spearheading the anti-nuclear protests in the region. 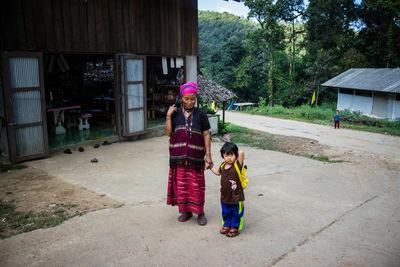 The fact that there is only one entry point to the village, which is closely guarded by the villagers, coupled with rumours about the villagers being armed with crude bombs, mean the police are reluctant to enter this zone. 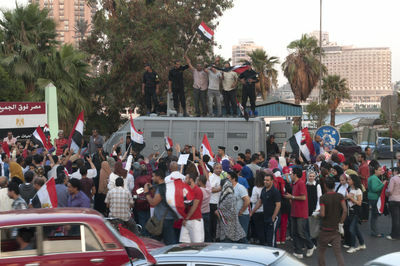 Thereby protecting the protestors from hostile government agencies. The flip side is that the leaders holed up here might never get a chance to leave. View of the Kudankulam Nuclear Power Plant (KKNPP) as seen from Idinthakarai village. The KKNPP had been mired in controversies since its inception in 1988. Although four nuclear reactors were commissioned in 2008 in addition to the two reactors commissioned earlier, currently only one reactor (Unit I, 1000MW capacity) is operational (since July 13, 2013) and Unit II is still under construction. A man walks along the beach in Idinthakarai. 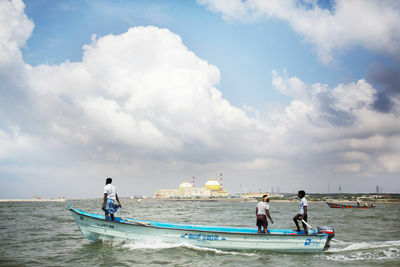 Seen in the background is the Kudankulam Nuclear Power Plant (KKNPP). The KKNPP had been mired in controversies since its inception in 1988. Although four nuclear reactors were commissioned in 2008 in addition to the two reactors commissioned earlier, currently only one reactor (Unit I, 1000MW capacity) is operational (since July 13, 2013) and Unit II is still under construction. While the state of Tamil Nadu is still suffering from an energy deficit of 34.1% in 2013, the villagers feel that the state and the country has alienated their interests and has ignored their safety concerns. 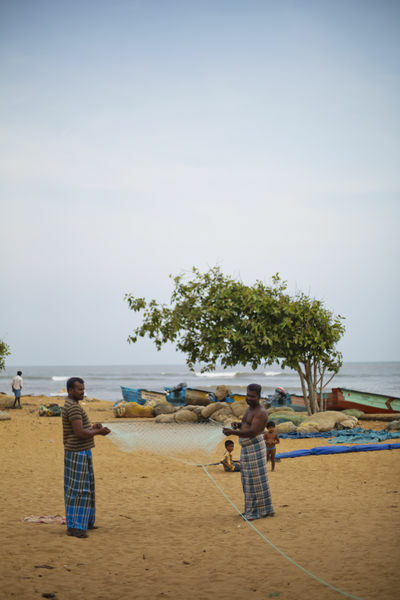 Men make fishing nets by the beach in Idinthakarai village, 6km away from the Kudankulam Nuclear Power Plant (KKNPP). 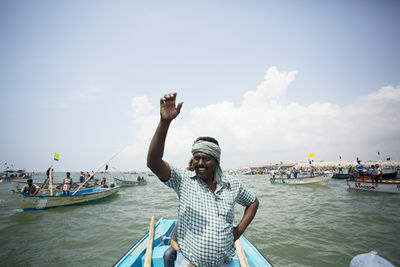 The fishermen fear that their livelihood would be hampered by the effluents released into the sea by the Kudankulam Nuclear Power Plant which could potentially destroy marine life. 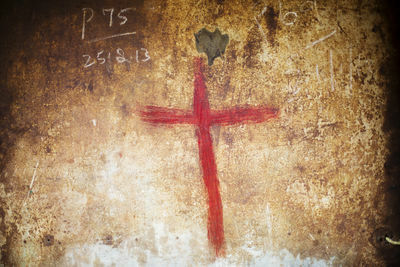 A religious sign is seen on the door of a fishermen’s shack in Idinthakarai. The epicenter of the protests against the Kudankulam Nuclear Power Plant (KKNPP) is the Lourde Mary Church at Idinthakarai, 6km away from the power plant. 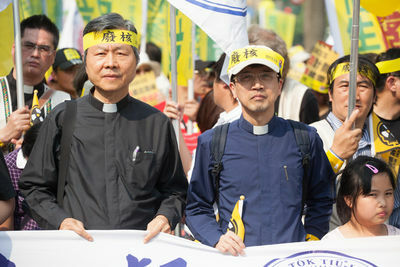 The church and its priests have been vital in garnering support and popularity for the anti nuclear protests in this Christian-dominated fishing community. 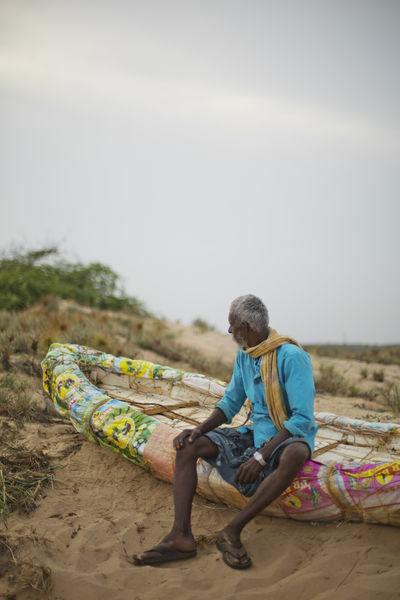 A local fisherman is seen resting on his rudimentary boat near Idinthakarai - a fishing village with a population of 12,000. 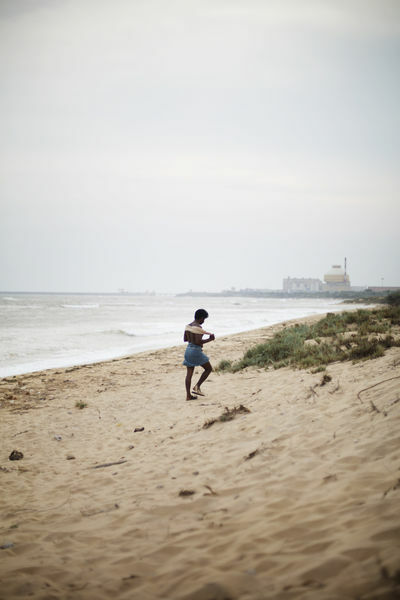 The fishermen fear that their livelihood would be hampered by the effluents released into the sea by the Kudankulam Nuclear Power Plant which could potentially destroy marine life. People gather at Idinthakarai, 6km away from the Kudankulam Nuclear Power Plant (KKNPP) to commemorate the 2nd anniversary of Fukushima disaster, March 11,2013. 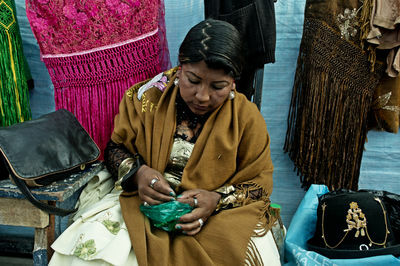 The anti-nuclear protests in the region has largely been peaceful and is led by the women. The movement is funded by the villagers themselves, for which the men has to go out to the sea for work every day. 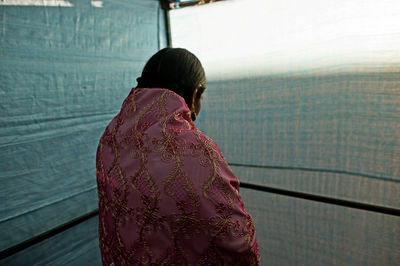 The women gather in front of the Lourde Mary Church at Idinthakarai daily, in silent protest. Organised protests erupted in the region in the wake of the Fukushima disaster in 2011. The Nuclear Power Corporation of India Limited (NPCIL) has done little to assuage the fears of the local fishing communities of a similar disaster; while memories of the Tsunami hit in 2004 are still fresh in the minds of the locals. 700 boats and around 5000 villagers lay seige at the Koodankulam Nuclear Power Plant on the occasion of 2nd anniversary of Fukushima disaster, March 11,2013, Koodankulam. Organised protests erupted in the region in the wake of the Fukushima disaster in 2011. The Nuclear Power Corporation of India Limited (NPCIL) has done little to assuage the fears of the local fishing communities of a similar disaster; while memories of the Tsunami hit in 2004 are still fresh in the minds of the locals. 700 boats and around 5,000 villagers lay seige at the Koodankulam Nuclear Power Plant on the occasion of 2nd anniversary of Fukushima disaster, March 11,2013, Koodankulam. Organised protests erupted in the region in the wake of the Fukushima disaster in 2011. The Nuclear Power Corporation of India Limited (NPCIL) has done little to assuage the fears of the local fishing communities of a similar disaster; while memories of the Tsunami hit in 2004 are still fresh in the minds of the locals. Pastors from Taiwan's Presbyterian Church have long been politically active. They are protesting nuclear power in Taipei. A local Lebanese family starts the generator that provides their electricity. Even in winter most homes are without constant electrical power. 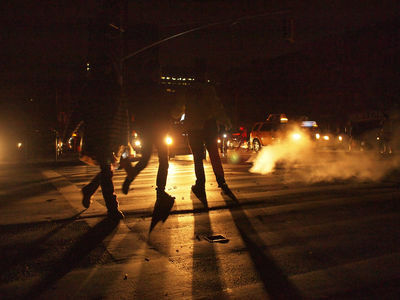 A policeman directs otherwise anarchic traffic on First Avenue and 20th Street as stop lights sit dark for miles. 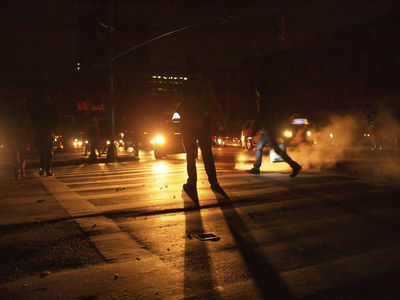 Pedestrians cross at great risk as grid workers struggle to try and restore power to huge swaths of the city. 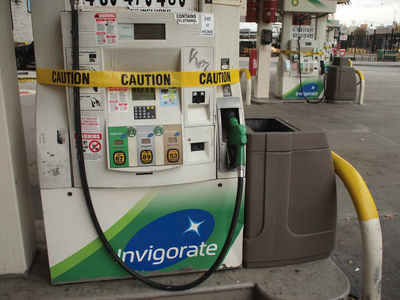 The city’s gasoline crisis has now become a paramount issue in the post-Sandy recovery. Not only are fuel supplies low or totally out but there is not electricity to power petrol stations. BP, Broadway and Lafayette (the former landmark Gaseteria). 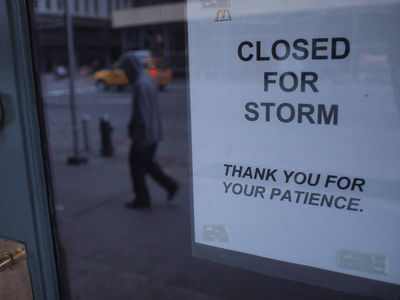 Virtually all businesses south of 34th Street in Manhattan remained shut as the blackout continued into its fifth day. 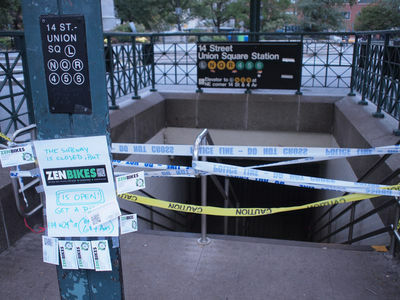 New York's vast subway transit system took on the air of a cavernous no-man's land as the blackout cause by Hurricane Sandy south of 34th continues into its 5th day.